The protest against the government for the Jan Lokpal bill and support for the movement initiated by Anna and his team rages fury in the corrupt population of entire country. 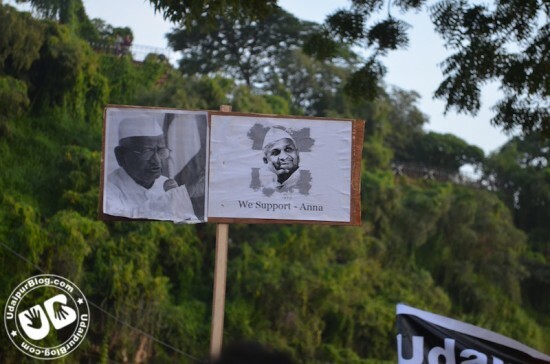 Every town every city of India is supporting Anna with full enthusiasm. 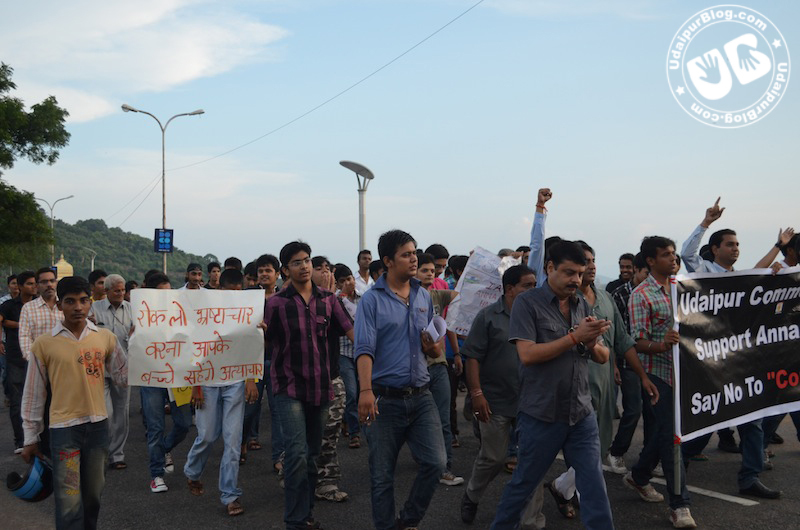 Our own Udaipur today witnessed many protests and processions in many forms, the complete day. 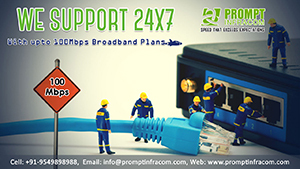 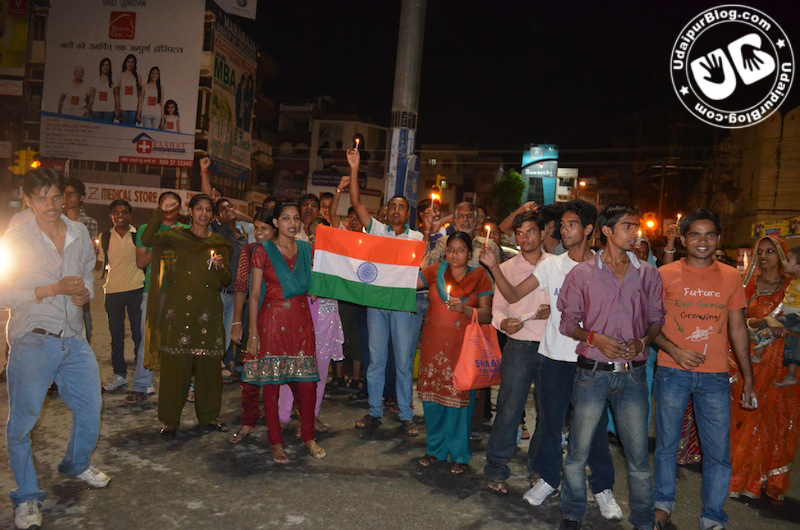 Efforts were made to make public aware of many facts and also to make them volunteer and support in such movements.. 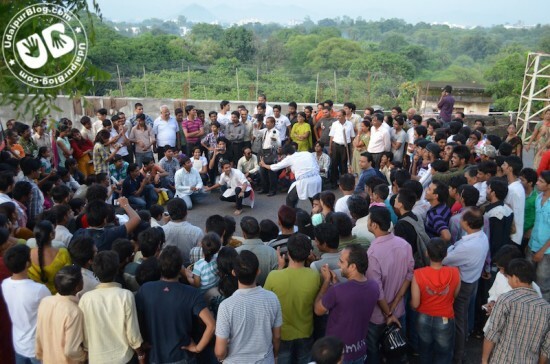 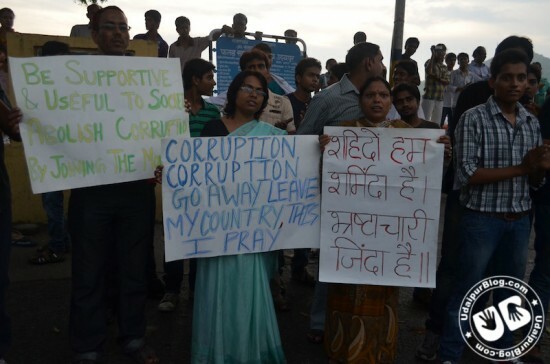 The protest in front of the collectorate also continued today. Most of the other events took place at fateh sagar where there was possibility for maximum public presence on account of sunday. Beginning with a march by college and school students in the evening, followed by march and protest by the facebook users, organised by LCU(Lets Chat Udaipur) and UdaipurBlog, where there was a nukkad naatak(ie. Skit) by Mayank Wadhwani and group titled ‘Corruption ki Class’ where the involvment of corruption in day to day life of a human being was depicted. 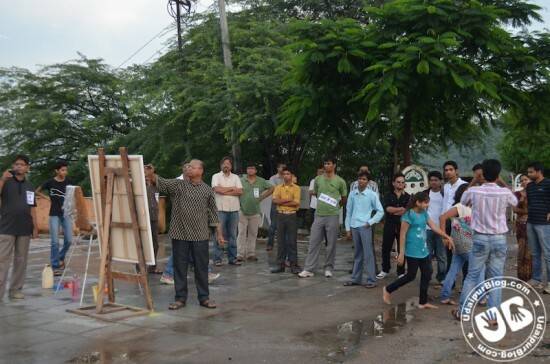 In parallel, there was a silent protest by the association of artists at fs. 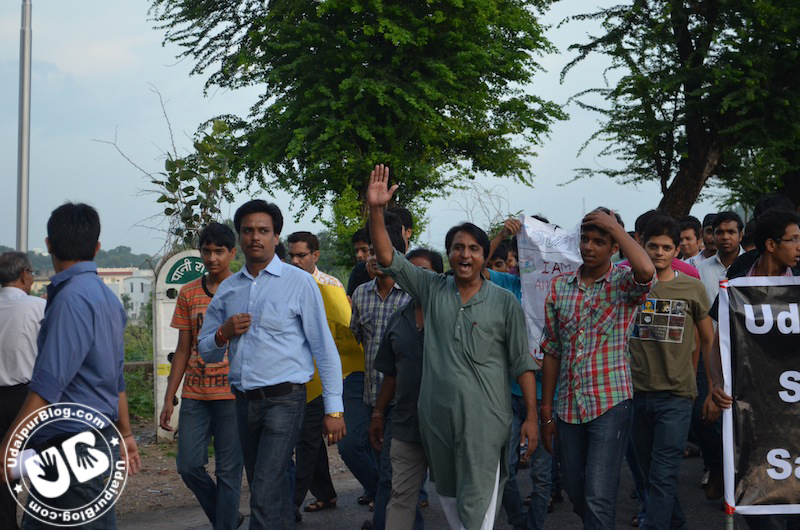 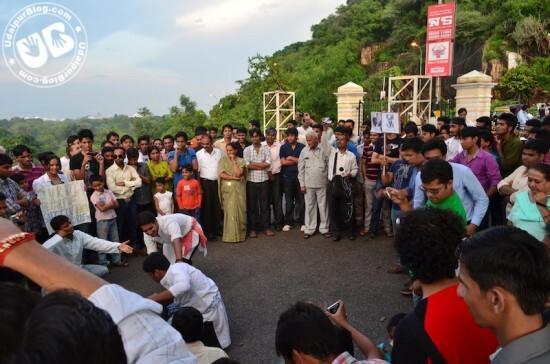 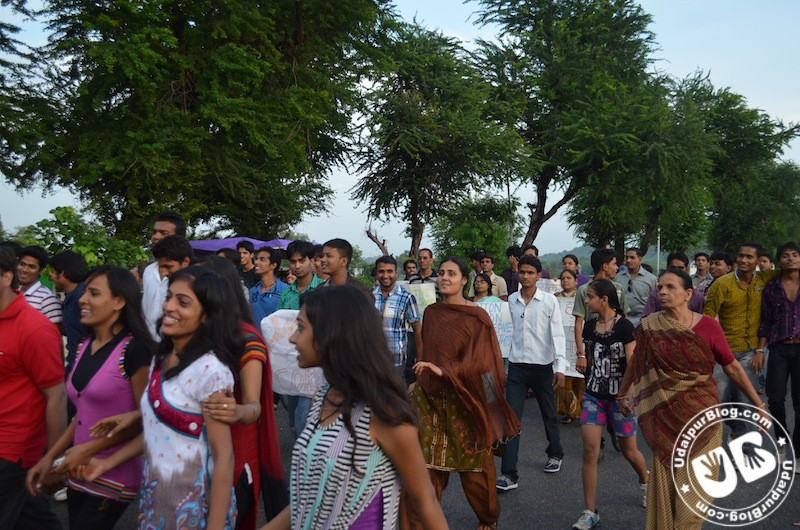 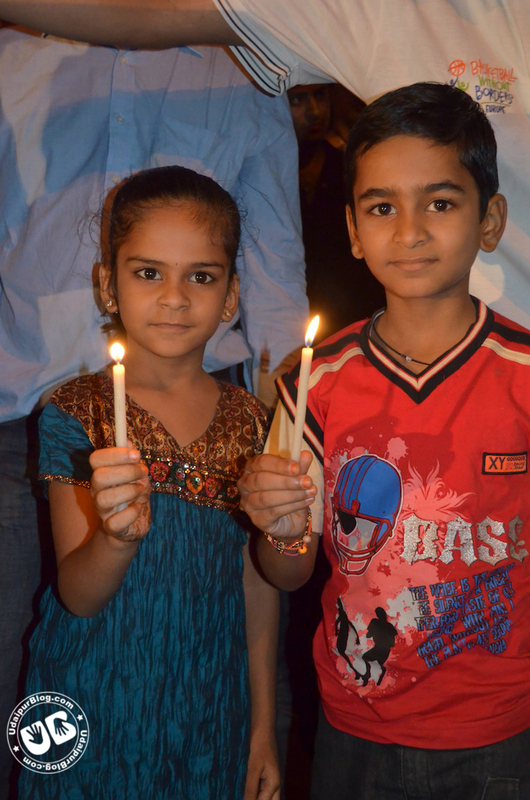 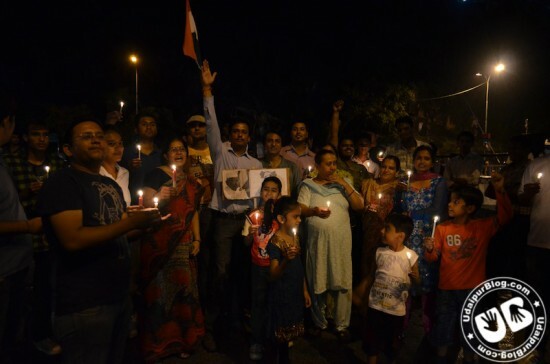 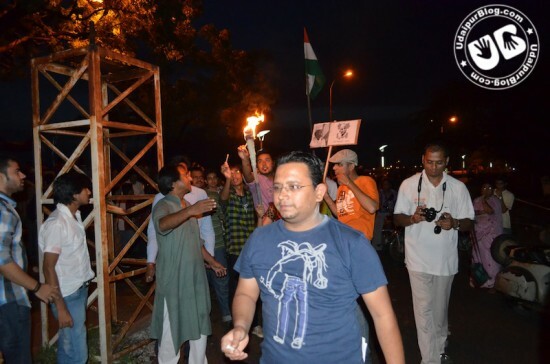 After that, another candle march by the udaipur youth took place. 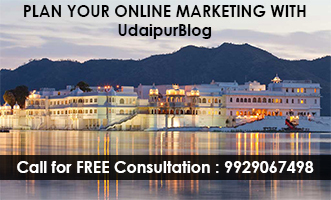 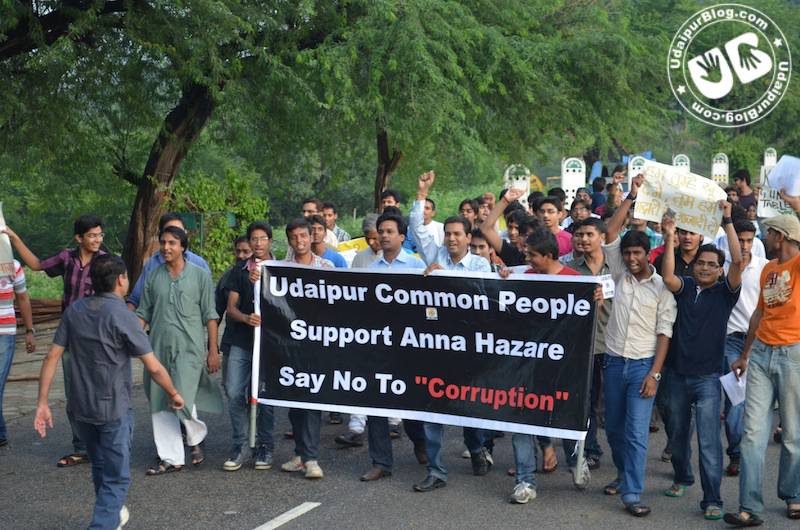 Team UdaipurBlog supports Anna Hazare and every such movement in all possible ways, and we also ask upon the entire udaipur and every reader to cooperate and support in this movement, and always stand against corruption.